Summer is approaching, couples are getting married, and most people experience great difficulties while deciding on what gift to give a newlywed couple on their wedding day. On a personal note - it gives me a headache every time - literally. And unless you ended up here from a misdirected Google search, I am confident that you experience the same problem in some way or the other too. Since my lack of authority over the matter makes me the last person on earth you would want to seek gift ideas from, I consulted a number of experts who thankfully provided the following tips. Read on if you are tired of asking for others' help to choose the right gift items for newlywed couples. While buying gifts for a newlywed couple, always make it a point to consider only those items that can add any value to their married life. In fact - that holds true for any giftware that you will ever purchase. After all, what's the point of gifting a comb to a bald person? The relationship you share with the couple in question, can make a world of difference to the different gift options you might prefer to consider. Nonetheless, there are still some items that you can gift to virtually anyone - home decor products being one prime example amongst them. The point here is that any newlywed couple will definitely prefer to have a fresh start in virtually all aspects of life - including their furniture and home decors. 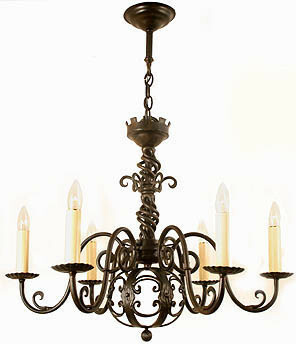 There are a wide variety of wrought iron home decors that make the perfect gift item for any newlywed couple. In case you are wondering why wrought iron - well - it's because they are sophisticated, comparatively cheaper, and most importantly, they are the in-thing these days. Amongst the wide range of wrought iron decors available in the market these days, the most popular ones are: wrought iron wall hangings, wall arts, lighting systems, welcome signs, custom-made home signs, rustic art pieces, and so on. If the couple getting married own a lawn or garden, you can also gift them a wide variety of wrought iron lawn and garden ornaments. You can find all these items in any typical home decor shop. Alternatively, you can also try an online home decor portal to get these items relatively at a cheaper cost. A high quality wrought iron decor will last for generations, and your name will remain attached to it for all that time.